Whether it’s movies or action figures, I’m endlessly fascinated by things that were planned, announced and/or nearly completed, but never actually saw release. It happens more often than you might think, and tonight I want to take a look at a video game that was well on its way into our lives, before being unceremoniously relegated to the dreaded development hell. 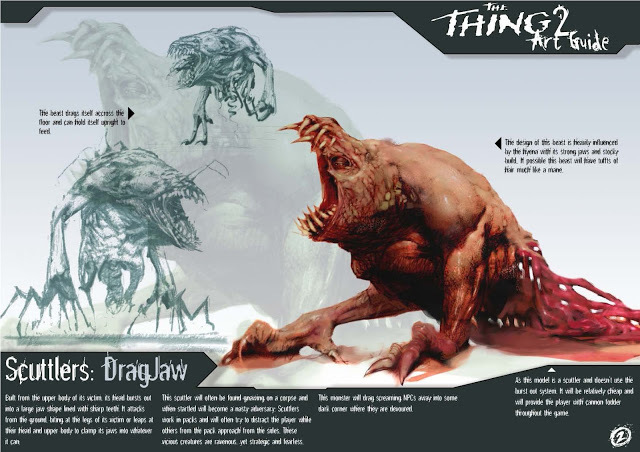 2002 saw the release of the Playstation 2 and X-Box video game The Thing, which essentially serves as a sequel to John Carpenter’s uber-gory 1982 remake of The Thing From Another World. The game picks up mere days after the events that left the fates of MacReady and Childs hanging in the balance, with a new group of characters arriving at Antarctica’s hellish Outpost 31. The team of medics and engineers is led by playable character Captain J.F. Blake, on a mission to uncover the truth about what the hell happened at the outpost. 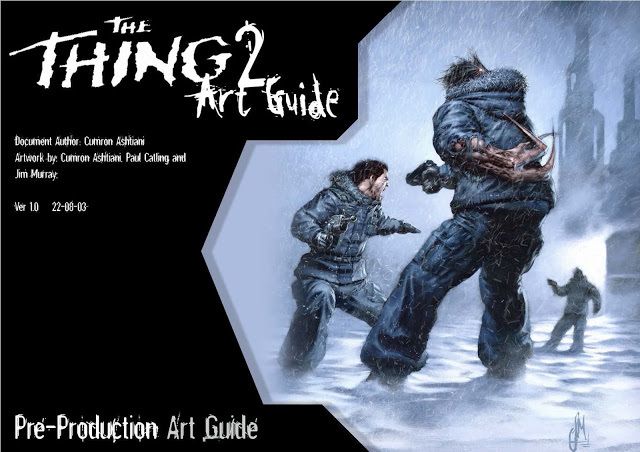 Finally providing answers that the film left us pondering for two decades, The Thing video game revealed the fates of both Childs and MacReady; Childs is found dead, a victim of the elements, while MacReady is missing throughout the game, but is revealed to be alive and well at the end. 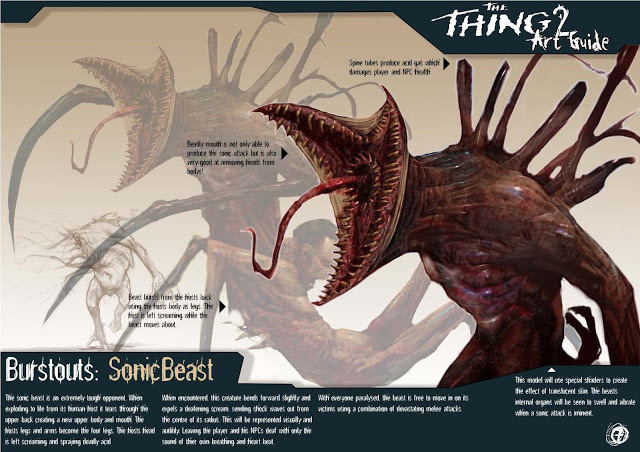 A true sequel in every sense of the word, The Thing was backed by the endorsement of John Carpenter himself, and is considered by most fans to be one of the better video game adaptations of a horror movie that we’ve ever had the luxury of playing. Though it’s been close to ten years since I last played through it, I remember having a blast with it, and I consider the game to be a real treat for horror fans, both because it’s a solid game and also because it’s a direct continuation of a movie we all know and love. You’ve just gotta appreciate that. 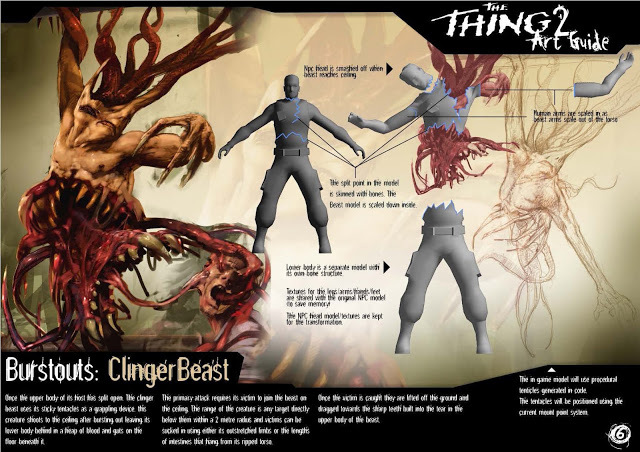 What you may not know is that the company that developed the game, Computer Artworks, had full intentions on releasing a sequel, titled The Thing 2, and that they were in fact actively developing one in the years following the 2002 release of The Thing. The bad news is that the company went belly up in 2004, ensuring that The Thing 2 would never see the light of day. The good news? Several pieces of totally badass concept art and even gameplay clips were left behind, hinting at the sheer awesomeness that we all came so close to being able to take part in. It’s always bittersweet to dig up stuff like this about aborted projects; on the one hand, it’s awesome to see and imagine what could have been, but on the other, it’s totally depressing to know that it never actually will be. So be forewarned; what you’re about to see is both awesome and depressing. 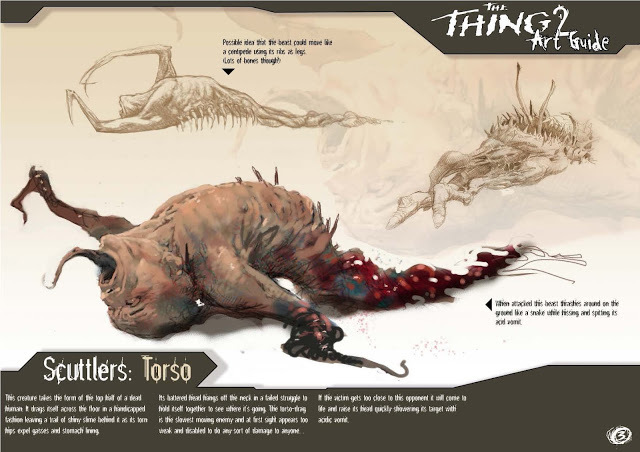 The plan for The Thing 2 was to expand even further on the universe present in Carpenter’s film, introducing horrific new monsters and new locations, with the infection spreading to a small mining town in Antarctica. The game was to feature Blake and MacReady, both men fighting for their lives once more. 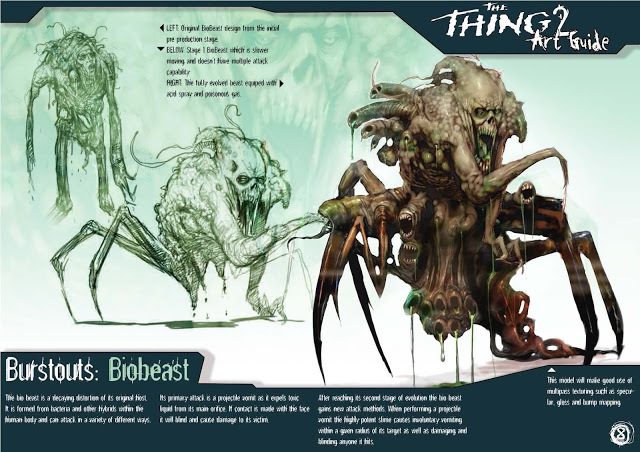 Check out a few pieces of the concept art, which show off the hideous new mutations that we were going to do battle with in the game! Is it just me, or would you also take this over the 2011 Thing prequel, any day of the week? !